This recipe is an excellent balance of protein, fat, and carbohydrates to keep your blood sugar stable and increase your metabolism. 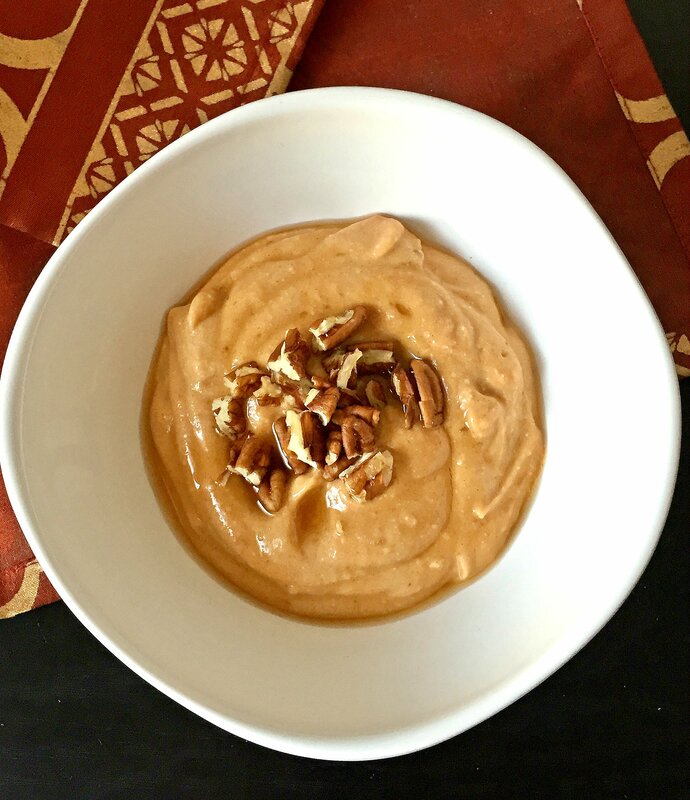 Put all ingredients except pecans in a blender and blend until smooth and creamy. Top with chopped pecans and a dash of cinnamon if desired.